A prominent businessman from Ululoloa has told of the horror he encountered when four prisoners who had escaped from Tafaigata broke into his home during the early hours of the morning. The Owner of C.C.K Trading, Kenneth Newton, 85, told of how he was punched and knocked to the ground while the prisoners went through his property as his terrified wife watched on. Mr. Newton was giving evidence during the hearing of four prisoners who escaped from Tafaigata 29 June 2015. Fili Faulalo, Michael Toleafoa, Pule Liu and Leuma Sakalaka are facing charges of burglary, robbery and escaping from prison. Justice Vui Clarence Nelson is presiding. “I was reading my book at around 4am and I heard some noises outside my house which I thought were dogs making noises,” Mr. Newton told the Court. “Anyhow I went out with a torch and I couldn’t see anything much so I returned back and continued reading and then some time later the noises outside became louder." “I got up again to go and investigate. When I entered the kitchen of my house, I found the refrigerator door and the pantry door open and a 4foot metal bar on the table." 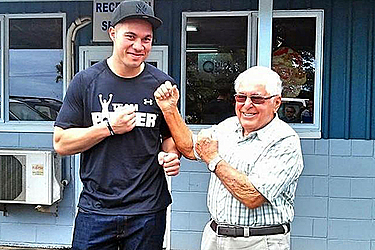 Mr. Newton said when he got to the door; a figure emerged from the dark and punched him. He was knocked to the ground. While Mr. Newton was on the ground, another prisoner went to his bedroom. “Because of the noises it woke up my wife who came running down the passage way of the house. At the same time another person emerged from my bedroom. “He was holding my tablet with the screen light on and rushed outside." “At that stage the person holding me down jumped up and ran outside also." Mr. Newton said he couldn’t identify the person who punched him and the man who took the tablet. It happened so quickly and it was dark. The prisoners ran off with $400 and other valuables." The matter has been adjourned until 27 February 2017. 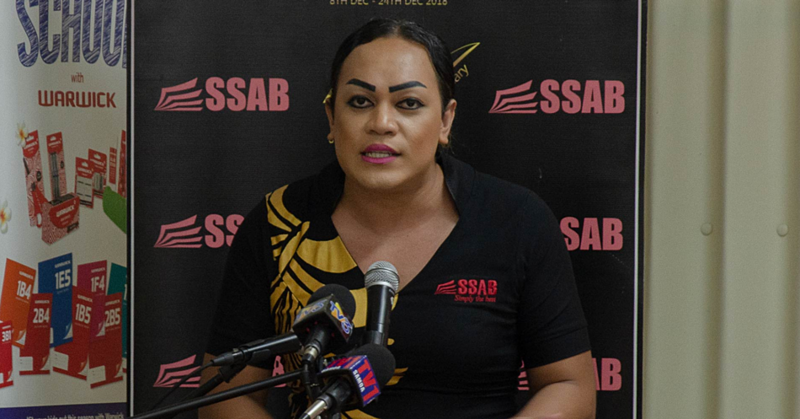 Samoa Stationery and Books (SSAB) have been named the major sponsor for the Champ of champ athletics competition in August. 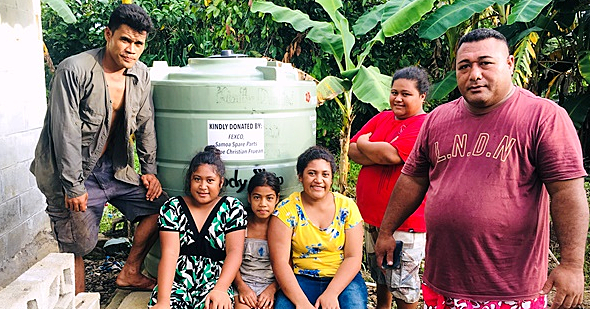 Agaese Pinati and his family from Malaemalu Falealili are happy to receive a 10,000 litre water tank from the "Clean Water" Project. 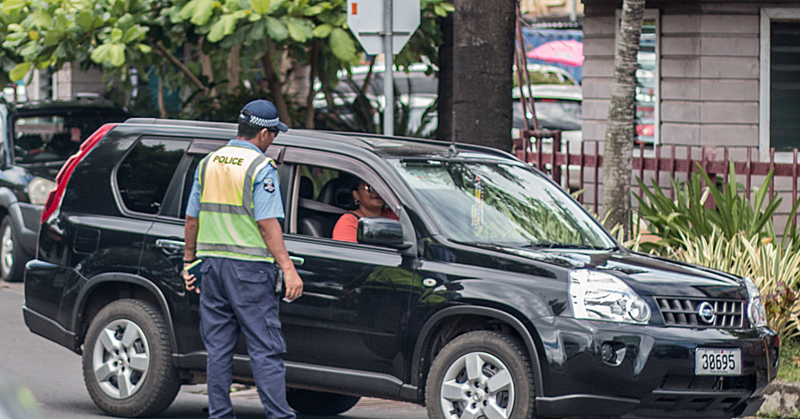 The dispute between the Ministry of Police and the Land and Transport Authority over the enforcement of traffic regulations remains unresolved as the matter has not been discussed by Cabinet yet.